Everest Rampage STORM W5 Black 2*USB 3.0 18cm +12cm Fan Gaming Case; Equipped with gaming features, this case has 120mm 4 fans bases for the cooling system. 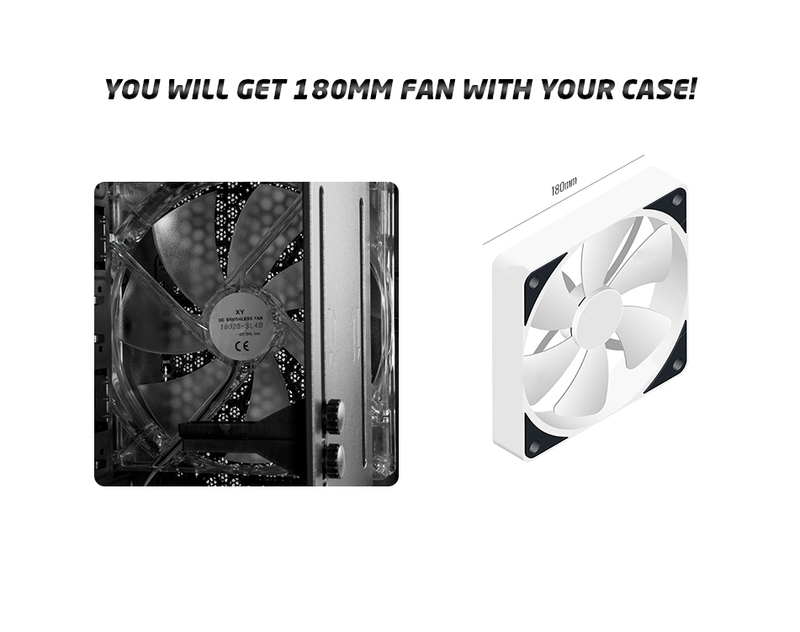 1x180mm fan also with your case. 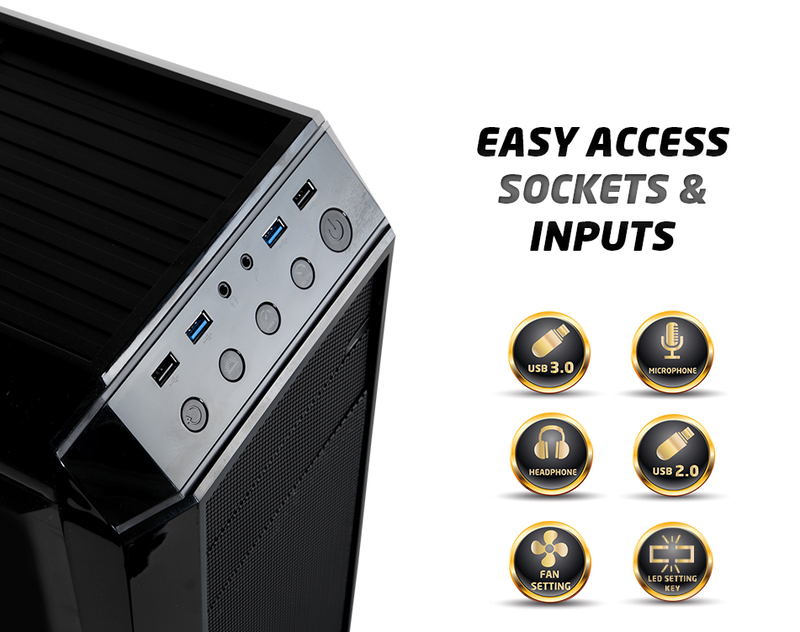 Also in our case, 4X 3.5" HDD, 2X 2.5"SSD & HDD slot allows you to connect multiple devices at the same time and it is easy to install. You can easily control the fans that are compatible with this key, fan control key on your case. There are 2 fast USB 3.0 and 2 USB 2.0 input. There is 2x 5.25" DWD-RW slot, LED on/off button and fan speed control button. 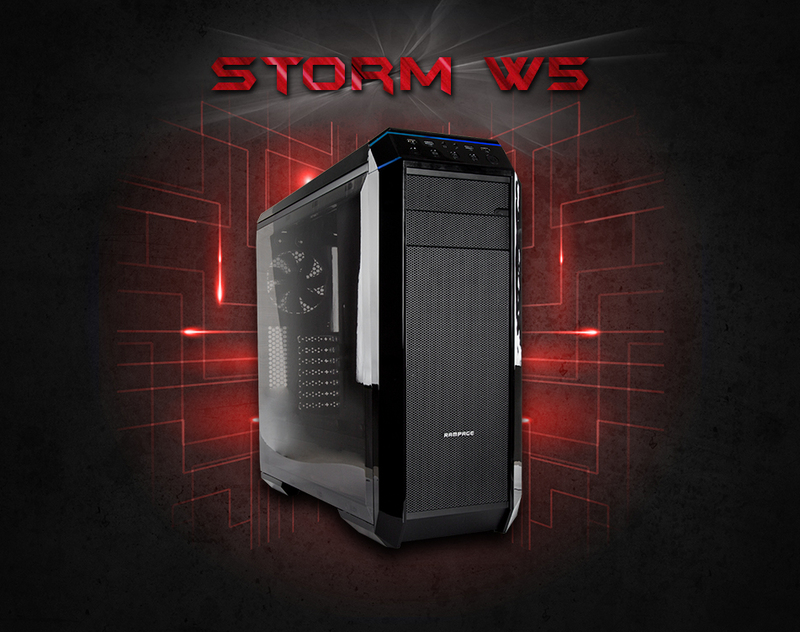 Storm W5 is a candidate to become indispensable as a player! Everest Rampage STORM W5 Black 2*USB 3.0 18cm +12cm Fan Gaming Case; Data storage and specially designed to the input of HDD, SSD mounting slots designed and manufactured can be easily removed from sockets. 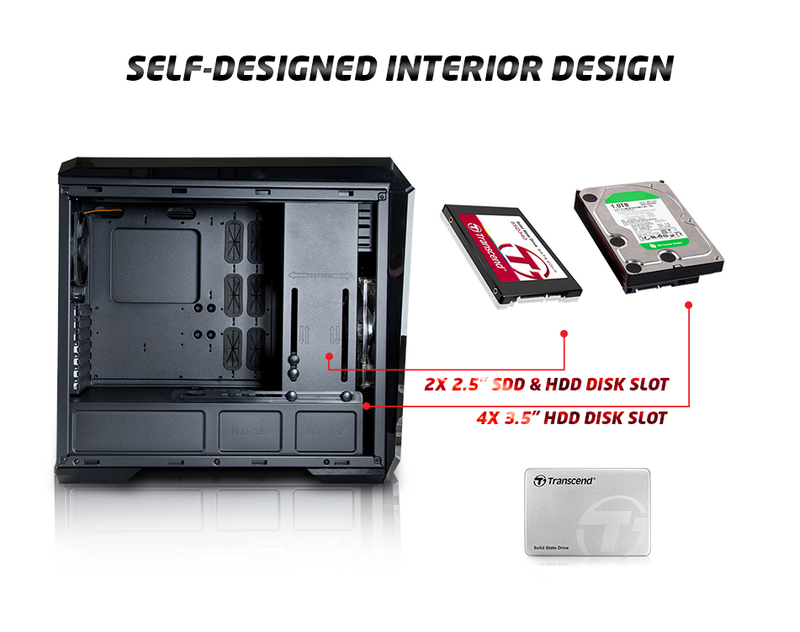 It does not cause any problems during installation and it is designed perfectly on the shelf which prevents the HDD & SSD from being shaken by a special design inside and will prevent damage. Easily mount your HDDs with the latching device! Everest Rampage STORM W5 Black 2*USB 3.0 18cm +12cm Fan Gaming Case; Easy access socket and inputs on the case making your case more usable. In this way, you can easily connect your headphones, microphone and USB memory. 2xUSB 3.0 speed USB input and 2 USB 2.0 input, allowing you to perform many operations at the same time. Enjoy the convenience of transferring your SD & Micro SD card files by placing them in their slots. Everest Rampage STORM W5 Black 2*USB 3.0 18cm +12cm Fan Gaming Case; Gaming systems produce high temperatures because they are high-performance products.To solve this problem, you will get to a wide interior design and 1 pieces of 180mm fans in the case with 4 x120mm fan slots, it reduces the heat from all sides of the case and provides maximum cooling. 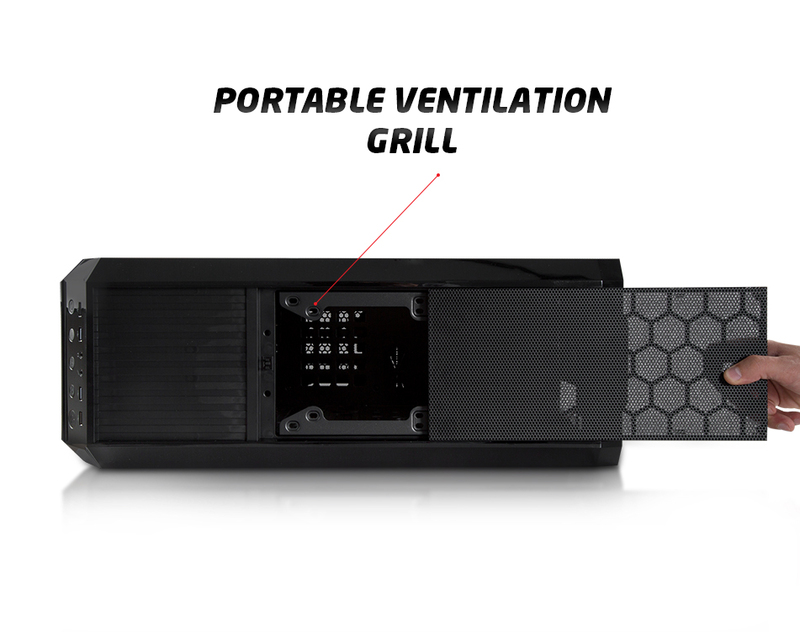 Everest Rampage STORM W5 Black 2*USB 3.0 18cm +12cm Fan Gaming Case; You can easily remove and clean the magnetically designed portable ventilation grille on the air duct, which is designed as a honey petal on the top of your case. 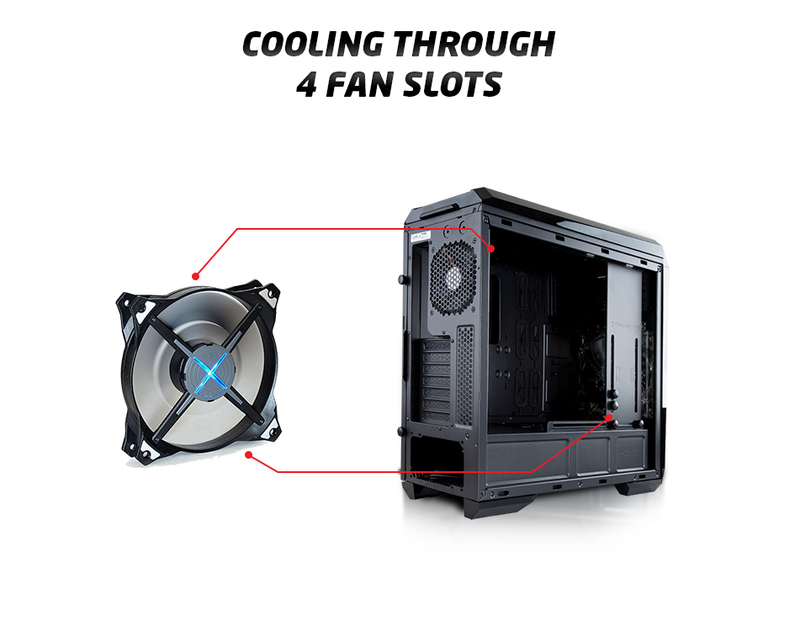 Maximum cooling is achieved on your case through this channel. 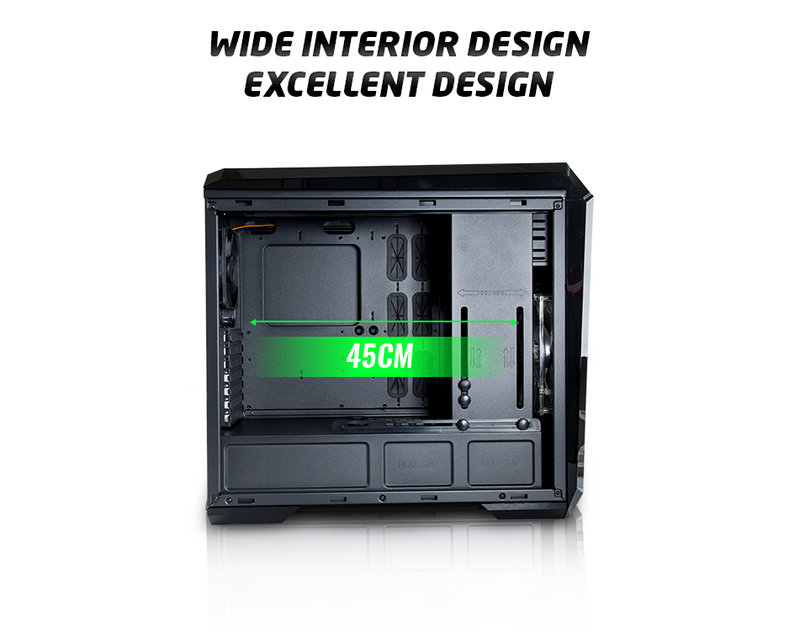 Everest Rampage STORM W5 Black 2*USB 3.0 18cm +12cm Fan Gaming Case; You can easily install the necessary equipment through to its 45cm wide interior space. 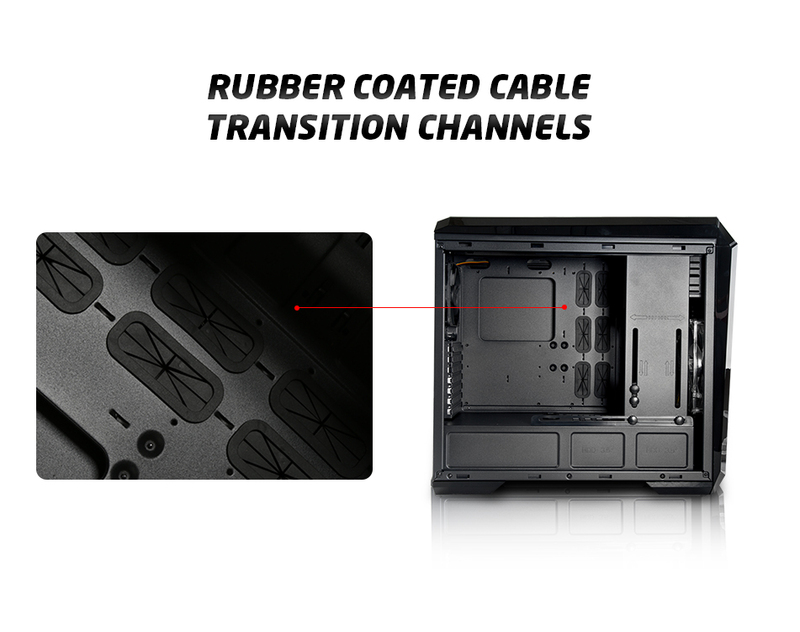 Everest Rampage STORM W5 Black 2*USB 3.0 18cm +12cm Fan Gaming Case; Rubber coated cable tie channels ensure that the wiring complexity inside the casing is eliminated without damaging your cables. 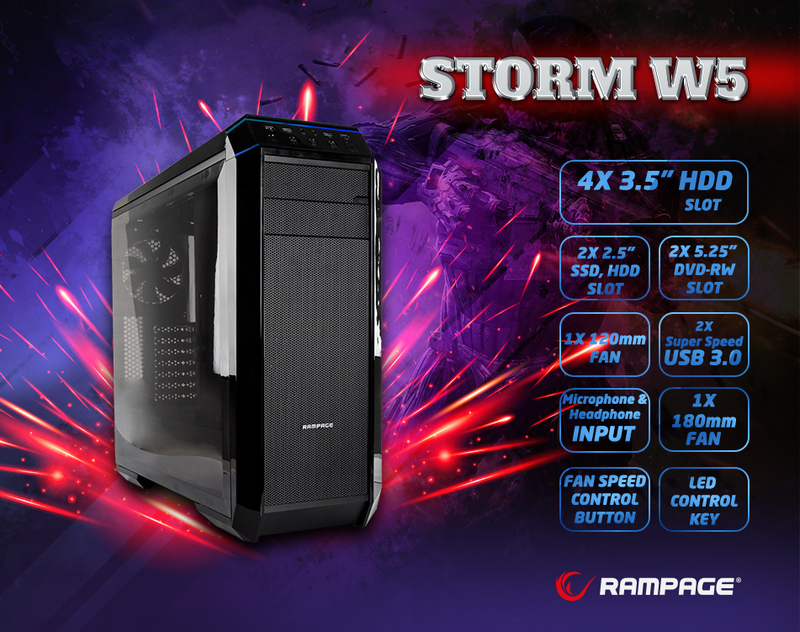 Everest Rampage STORM W5 Black 2*USB 3.0 18cm +12cm Fan Gaming Case; Customised performance products for casters because they produce high heat. 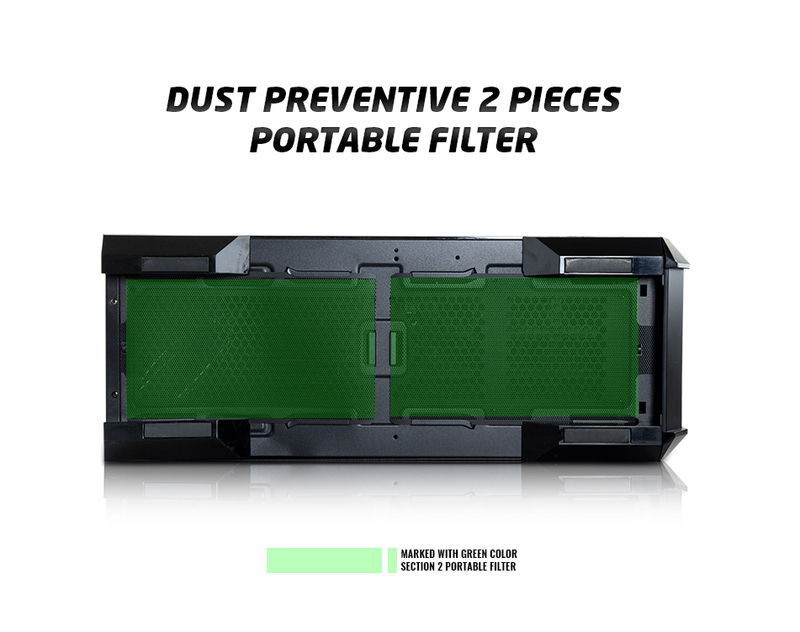 Due to this reason air ducts have been designed to provide cooling from each side of the case. There are 2 air ducts on the bottom of your table and the metal grilles of these ducts are designed as portable. You can easily remove and clean these portable grilles whenever you want. Everest Rampage STORM W5 Black 2*USB 3.0 18cm +12cm Fan Gaming Case; Different from many other gaming cases The STORM W5 is an excellent player case, delivered to you with an excellent fan size of 180mm in package contents.